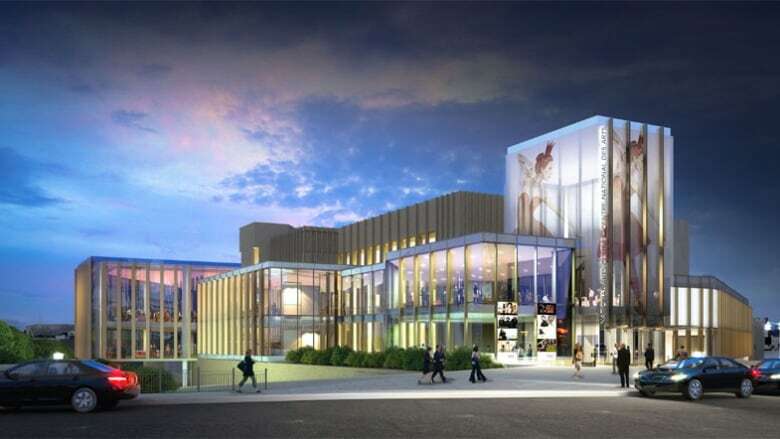 The National Arts Centre in Ottawa is getting a front-entrance makeover to be completed by 2017, when tourists are expected to flock to the city for Canada's 150th anniversary. The current Elgin Street entrance to the National Arts Centre. 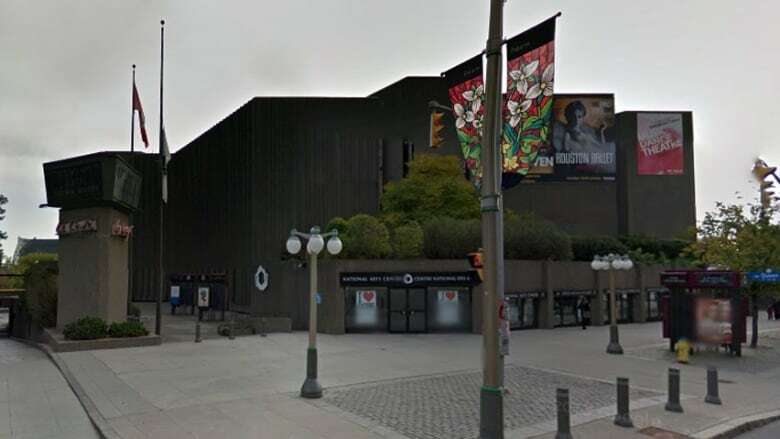 (Google Street View)Shelly Glover, the Minister of Canadian Heritage and Official Languages, and fellow Conservative MP John Baird announced the performing arts centre would receive $110.5 million from the federal government for its "architectural renewal." "It's no surprise people often wondered why the back of the NAC is turned against the striking architecture of Parliament Hill, the iconic monument that is the National War Memorial," said Baird. "It's time for a rethink." The changes include a glass atrium and an entrance on Elgin Street, improved performance spaces, public areas for education and events and full accessibility for people with mobility challenges. Most performances won't be affected by the work, said NAC spokesperson Rosemary Thompson. "It's on the edges of the NAC, it's on the north face, it's going to be hugging the contours of the building, so the actual performance venues will not be affected except the 4th stage," she said. Architects with Diamond and Schmitt say they've already begun some inside work, with exterior work scheduled to start next year. The NAC is expecting to welcome visitors through its renewed entrance by 2017, and to complete most of the project by the end of that year. Ottawa mayor Jim Watson welcomed the announcement, calling it "a great investment in the downtown core."